Well folks that’s where I’ve been. After flying from the cooler climes of Auckland to Fiji, I spent a day on the mainland in the grotty town of Nandi before experiencing my first ever flight aboard a seaplane in search of a paradise island. I sat next to the pilot, riding shotgun, in the 6 seater low flying vessel. The views were spectacular, abundant corral reef arranged in an array of colours of the sea, crystal clear turquoise waters through to deep blues. Out of the water emerge volcanic islands with idylic white sanded beaches. 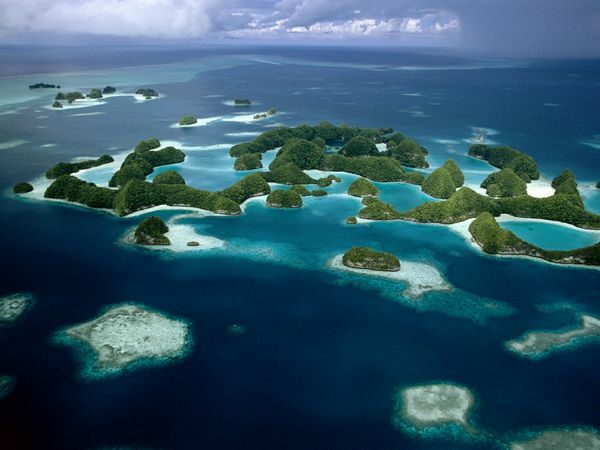 The movies ‘Castaway’, ‘Blue Lagoon’ and ‘Robinson Crusoe’ all filmed on various islands here. 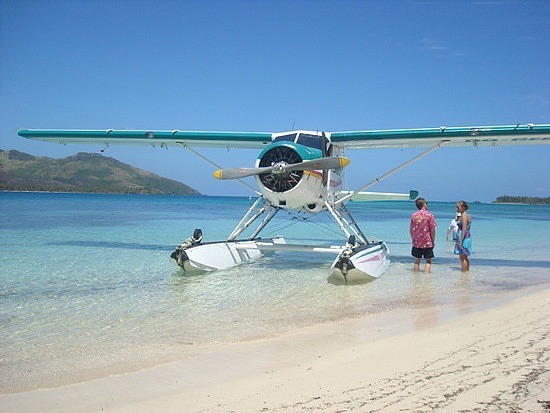 I land down onto the island of Nacula, part of the Yasawa group. Luckily this island has not yet appeared in the Lonely Planet thus tourism is pretty low key here and it’s negative effects on the land and locals have not yet reared their ugly heads. 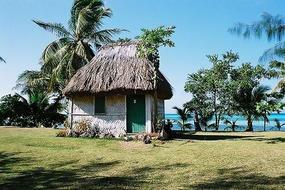 Staying in Bures (grass huts), no mod cons and limited electricity – just the good old simple life. The bure, just a hop and skip away from the sea! Lots of relaxing, snorkelling around the Blue Lagoon, walking and spending time in the local village. I made friends with a couple of the local families and get invited to Sunday lunch at both houses. Not wanting to be rude I accept both offers – a bit of a struggle but I managed. I also had the experience of trying kava, the local drink. Kava looks disgusting and guess what? It tastes disgusting too! But I think the reason it is drank is more for its narcotic effects rather than the taste. Anyway, it’s not really my cup of kava but the locals seem to love it. 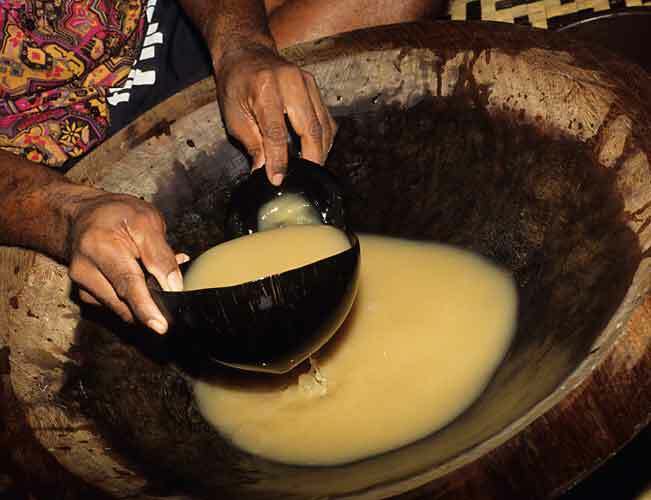 This is Kava – never again! 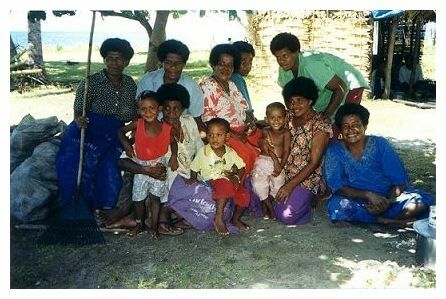 It has to be said that the Fijian people are one of the friendliest races I have come across. Yep, even friendlier than Kiwi’s, if that’s possible. Now back on the mainland staying by the beach brushing up on the tan after losing it in NZ. 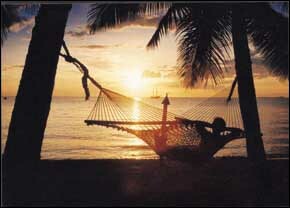 One more day here then off to try my hand at hula dancin’ in the land of Honolulu. I will be transported back in time as my flight arrives the day before I depart. All too complicated for me. Oh, and for all those altruistic types that like to do their bit for charity, I have set up my own charity. It’s the CBIGF – “The Chrissy Brown International Globetrotting Fund”, donations graciously appreciated! 😉 No, I haven’t quite got to that stage yet but Canada and the US are on the way and money is running low. Good job I only have 8 weeks left really!